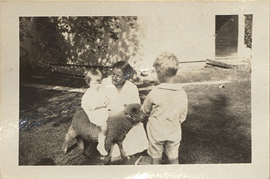 The Lewises with a Goat, photograph. 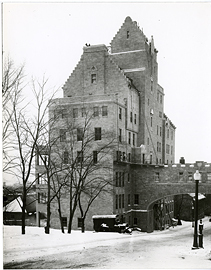 The Montreal Neurological Institute nearing completion, photograph. 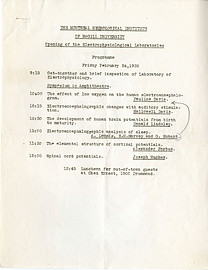 The Montreal Neurological Institute of McGill University, Opening of the Electrophysiological Laboratories. 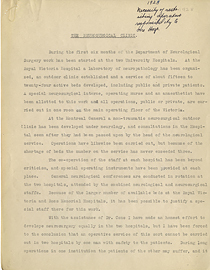 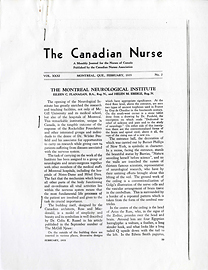 The Montreal Neurological Institute, The Canadian Nurse. 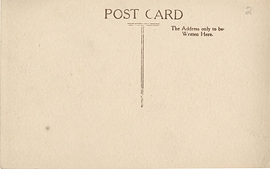 The Nurses Setting Room, The American Red Cross Hospital of Paris, postcard (back). 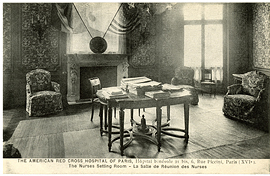 The Nurses Setting Room, The American Red Cross Hospital of Paris, postcard (front). 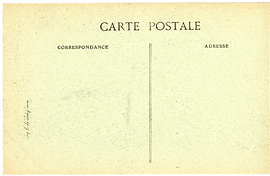 The Parish Church, Basingstoke, postcard (back). 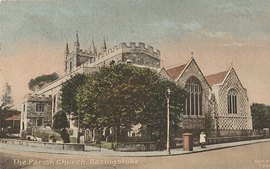 The Parish Church, Basingstoke, postcard (front). 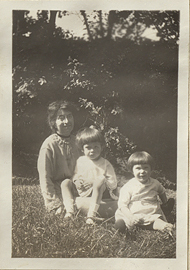 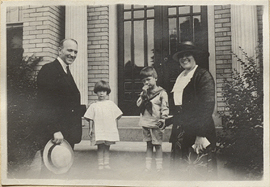 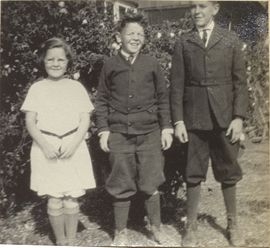 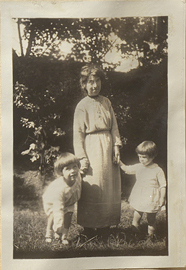 The Penfield Children with Miss Jones, photograph. 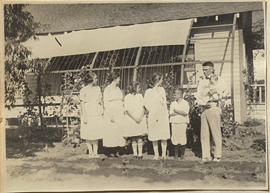 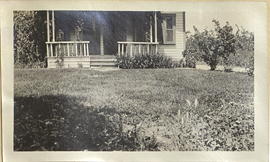 The Penfield family in front of the house at 106 Valentine Lane, photograph.